The Custodian of the Two Holy Mosques King Salman bin Abdulaziz Al Saud appointed Mohammad bin Salman bin Abdulaziz Al Saud as Saudi Arabia’s Crown Prince. Prince Mohammad, the former Deputy Crown Prince, replaces Prince Mohammad bin Nayef bin Abdulaziz Al Saud in a reshuffle announced early on Wednesday. 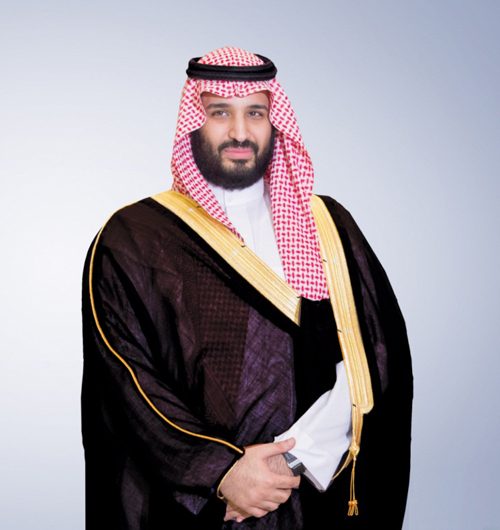 The new Crown Prince is also named Deputy Prime Minister and maintains his post as Minister of Defense. Custodian of the Two Holy Mosques King Salman bin Abdulaziz Al Saud has called Saudi citizens to declare allegiance to Prince Mohammed bin Salman bin Abdulaziz Al Saud as Crown Prince. The Saudi King relieved Prince Mohammed bin Nayef bin Abdulaziz Al Saud from his duties as Crown Prince, Deputy Premier and Minister of the Interior. The newly-elected Crown Prince in the Kingdom of Saudi Arabia won 31 majority votes out of the 34-member Allegiance Body, according to the Saudi Press Agency (SPA). Outgoing Crown Prince Mohammad bin Nayef has pledged allegiance to Prince Mohammed bin Salman as Crown Prince in Makkah early on Wednesday. Under the same royal decree, King Salman has also appointed Prince Abdulaziz bin Saud bin Nayef as Saudi Arabia’s Interior Minister while Ahmed bin Mohammed al-Salem was named Deputy Minister of Interior. Dr. Nasser al-Daoud was relieved of his post and appointed as Under-Secretary of the Interior Ministry.